With Baltimore the 26th largest city in the United States, having a population of 622,000, it has many opportunities for continuing education in online marketing. As part of our continuing education directory of SEO (Search Engine Optimization), social media marketing, and marketing (generally) opportunities for adult learners, here are our selections for continuing education in marketing in the Baltimore area. Please note that we can provide corporate training on these topics by custom quote (minimum of 5 participants). Free Directory. Use this free directory of Baltimore continuing education programs in marketing to find possible SEO, Social Media Marketing, and/or AdWords training classes. Be advised that all programs and schedules are subject to change without notice; the JM Internet Group assumes no responsibility for listings in this free directory. Custom Training Quote. For a custom training quote, please call us at 800-298-4065 or send an inquiry. Small business owners and marketers, entrepreneurs starting their own businesses, and even non-profits can (and should) avail themselves of free Internet marketing opportunities ranging from Google / Bing optimization to Facebook or Twitter marketing to simple tactics to use “real world” marketing to improve their performance. We at the JM Internet Group are all about learning and doing… If you know of a continuing education opportunity in the Baltimore area, please contact us for free inclusion (non-profit organizations, only)! Continuing Education in (Internet) Marketing: Baltimore. The institutions below provide training in Internet marketing, including SEO, Social Media Marketing, and AdWords / PPC. However, be sure to check with each institution as to their schedule of classes, as not all subjects are offered at all times. Schedules and training curricula are subject to change without notice, and the JM Internet Group assumes no responsibility of the accuracy of any program listed in this free directory. The University of Baltimore has courses in business and marketing. As a business major, you will learn core elements of business, such as accounting, economics, finance, information systems, management and marketing. Baltimore City College – Courses are designed specifically with adult learners in mind. They are typically shorter in length than credit offerings, have fewer prerequisites and admission requirements, and many are created for those planning to enter a specific profession for the first time. Community College of Baltimore County – Explore career-building options that include intensive training classes in fields as diverse as technology, health, construction, manufacturing, education, security and business, as well as apprenticeship and licensure programs. 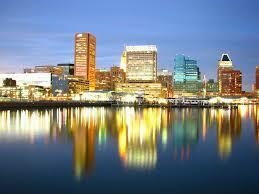 Baltimore is some 2,445 miles from our location in San Jose, California, and nearly 2,800 by road. With plane fares estimated at $1,000 round-trip, plus workshop time of 8 hours and 1/2 hour of preparation time for each hour of instruction… assuming you have a group of at least 5 persons, an in-person, private workshop training in SEO / Social Media / and/or AdWords would run roughly $1500 plus expenses. So your options are to either use the continuing education resources listed above (be sure to check their course catalogs for course offerings, as these vary over time), to use online training, or to contact us for a private workshop. We also provide one-on-one training online. Here are some fun facts about Baltimore: In 1828, the first umbrella factory in America was established in Baltimore. In 1840, the first school for dentists in the world was founded in Baltimore. The Maryland Jockey club was founded in Baltimore in 1743. In 1904, the Great Baltimore Fire destroyed over 15,000 buildings, burning for 30 hours. Babe Ruth was born in Baltimore. So was Billie Holliday. Edgar Allan Poe died in Baltimore and is buried in the Westminster Hall & Burial Grounds. Francis Scott Key wrote the “Star Spangled Banner” in Baltimore in 1812. This entry was posted in Directory and tagged Baltimore, Directory, Maryland on May 28, 2015 by James Smith.